Kolkata: Reiterating their vision of ‘DilJode, DeshJode’, Talents of Eastern Region of Dalmia Bharat Group (DBG), took a humble initiative through a social activity by donating old clothes (washed and ironed) and toys to “Missionaries of Charity” recently on the occasion of the forthcoming 71st Independence Day. Along with old clothes, Dalmia Bharat Group also distributed food items and drawing kits to 100 children who are being nurtured by “Missionaries of Charity”. 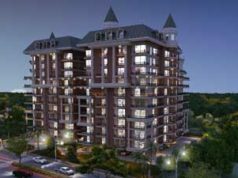 Prateek Gaur, Chaitali Mukherjee, Archan Bagchi, Dibendu Dey and Amrita Basu represented the Dalmia family for the social cause and handed-over all the materials to Sister Angela Maria. 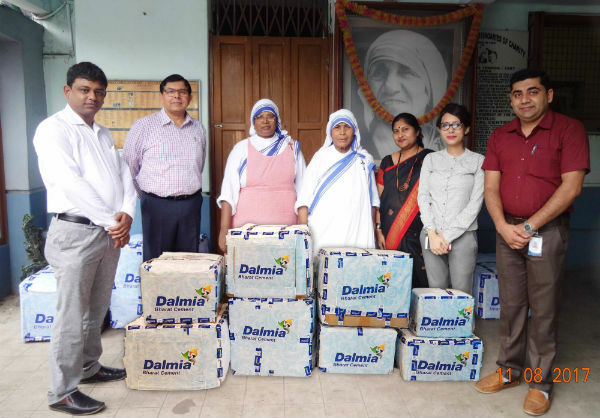 Dalmia Bharat family takes immense pride to be associated with “Missionaries of Charity”, that was founded by Mother Teresa in 1950 and has been giving wholehearted free service to the poorest of the poor for the last 67 years.